This dress is giving us total sunset vibes! 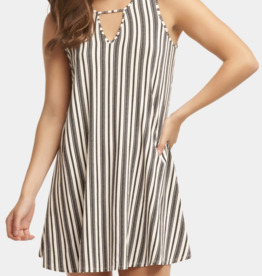 This dress features elastic straps and a square neckline. 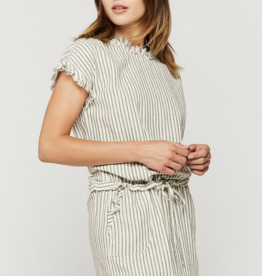 Crafted from Z Supply's slub knit fabric, this midi dress features a V-neckline, ribbed trim, side slits, and a raw-edge hem. Knit sleeveless muscle dress with a crew neckline, grinding on neck, arm and bottom hem, with a relaxed fit. Combining our best-selling style with all the comforts of our cotton slub fabric to craft this classic short sleeve t-shirt dress. Featuring a cutout v-neckline, single chest pocket, raw edge hems, and relaxed fit. At last, a pretty dress designed for long days in the sun! Our nautilus print, sleeveless active dress features moisture wicking, quick dry fabric and UPF 50+ protection to keep you cool and fresh. You’re set for an island paradise in this super comfy, super versatile v-neck dress featuring a fun oversized palm print in refreshing blue tones.